“Our harvest be large so that we might rejoice! Our plates and bellies be full to swelling! We have feasted on meats and gathered crops, and pies of sweet fruit! In spite of this kind of irrefutable historic documentation, many myths still exist about one of our most celebrated holidays. 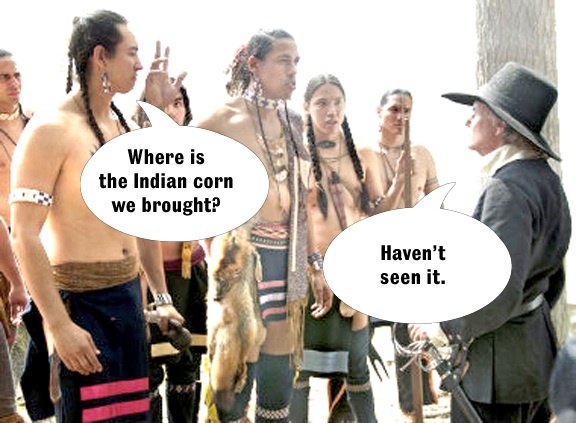 For example: Did anyone actually eat the Indian corn, or was it just used as a decoration? 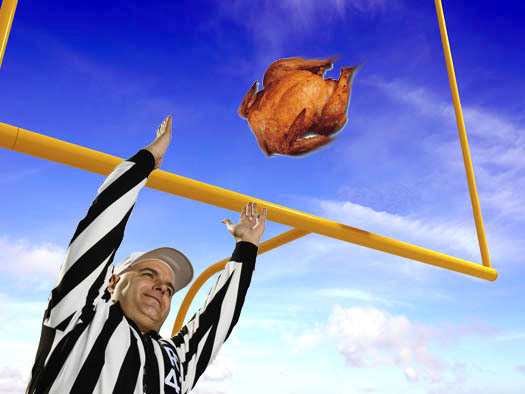 Don’t lose your giblets this Thanksgiving. Being a writer, I’ve naturally spent a good portion of my career working in the food service industry. And like most writers, it was there that I was able practice my craft and eventually acquire something that ALL good writers must have: A Food Handler’s Card. Because of this, I can stand before you as someone highly qualified to talk turkey. Deep frying a turkey. Watching football. Both are great, but not together. Most of us have one. For those who don’t, there are warning labels. Unfortunately, these warnings don’t appear on actual humans. 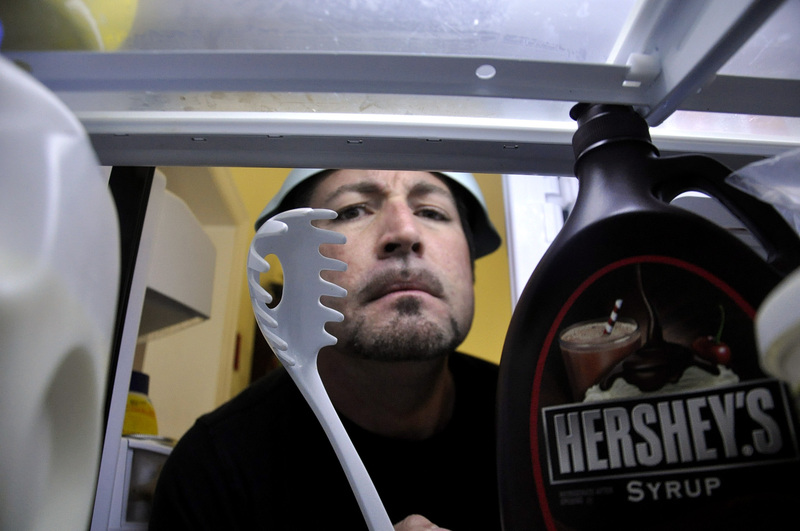 Instead, they are issued by the Consumer Product Safety Commission, which has the monumental task of thinking up ways stupid people might injure themselves using standard household items. It’s been 389 years since that first Thanksgiving, when the Pilgrims and Wampanoag Indians sat down together in celebration and, much like the Americans of today, made a solemn vow not to eat more than your standard bull elk. There are many advantages to shopping with Bigfoot. Keeping a low profile is not one of them. There are times when, as a columnist, I am faced with the difficult decision of choosing between two equally important topics in order to meet my deadline. 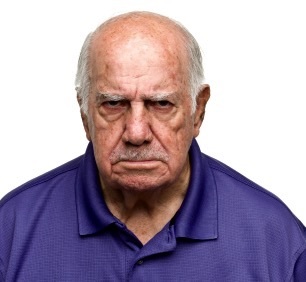 Then there are times like this when, thanks to years of experience and accidentally consuming a quadruple espresso meant for the person next to me at Starbuck’s, I realize both topics can be combined into a single, well-structured piece of journalism. 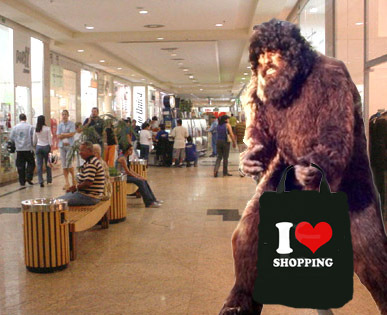 Which is why, today, we will be talking about how to prepare for holiday shopping with the help of Bigfoot. As some of you may have heard, a hiker in Utah recently posted video of what appears to be Bigfoot rummaging through the brush. In addition, some of you may have heard about Thanksgiving. 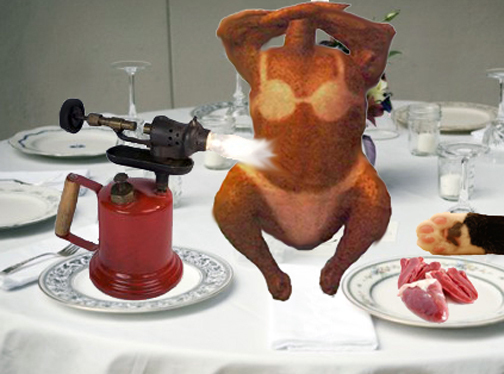 Don’t let your first Thanksgiving turkey become memorable for the wrong reasons. Maintaining “situational awareness” is key to preventing yourself from becoming the victim of a gravy ambush. Admittedly, the closest I have been to an actual military “hot zone” was when, on a grey August day in 1977, my Cub Scout troop was deployed to sell candy on the same block as the Girl Scouts. Our prime objective was Hilltop Road, which was a critical strategic vector. At least in terms of foot traffic.